Registered Dru Yoga teacher in Mudgee for all abilities, fitness levels and age groups. Whishing you all a lovely Christmas break. 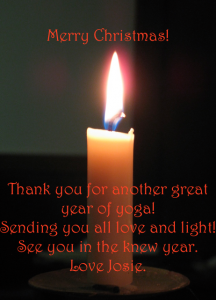 Thank you for another great year of yoga.